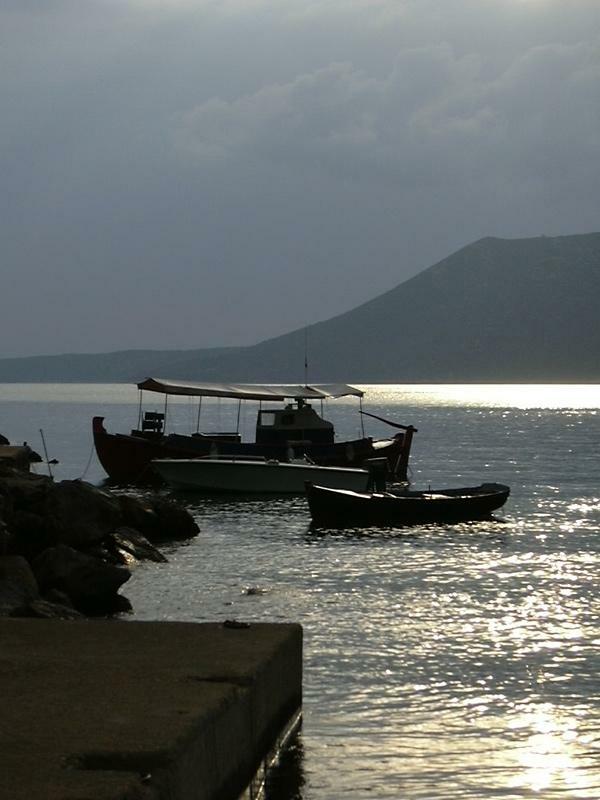 The port of Steni Vala is a delightful place on the island of Alonissos in the Northern Sporades. The open bay looks out onto the neighbouring island of Peristera, which is officially uninhabited. Steni Vala is also handy for provisioning since it is the most northern opportunity to supply your charter yacht, hence it is a very popular port on all sailing holidays in the area. The islands further north are also uninhabited and you will need to sail all the way up north to Porto Koufou or Sikias (both on the Sithonia peninsula of Chalkidiki) or all the way towards Lemnos or Limnos in the northeast. Therefore, you need to be sure that you have all your provisions on board for at least 2-3 days. Yet, most sailing trips don't leave the Sporades and won't cross towards Lemnos or Chalkidiki, but sail south to visit Skyros or Skiros, which is a lovely remote island which lacks anchorages or ports at its exposed northern shores, but provides good shelter in the many bays along the southeast coast. The port of Linaria is a treat and definitely worth one or two days of your sailing holiday!